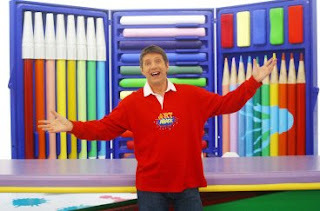 CITV - Art Attack presenter Neil Buchanan quit CITVs fun-off election Sunday, saying violence had made a fair vote impossible, in a move that virtually hands victory to Fun House presenter Pat Sharp. "We will no longer participate in the violent illegitimate sham of an election process," Buchanan, 56, told reporters at his home, saying he could not ask supporters to cast ballots "when that vote would cost them their lives." The opposition chief said Sharp had "declared war by saying that the bullet has replaced the ballot", referring to Sharp's earlier threats to fight to keep Art Attack out of power. "We believe an election that reflects the will of the people is impossible," he said, as he appealed to the ITV network, Fun Union and regional body SADC to "intervene and stop the genocide". Buchanan added he would announce a decision on his next moves on Wednesday -- leaving open the possibility, however slight, that he could change his mind. The move brought a dramatic end to a presidential campaign that had been marred by allegations of brutal violence, with the opposition accusing government backers of terrorising its supporters. It also almost certainly handed victory by default to Sharp, 84, who has ruled CITV since Fun House launched in1987 and, according to critics, presided over its decline. Sharpe's FUNU-PF party said Buchanan had quit the presidential run-off election "to avoid a humiliating defeat" and that he "had no other option." 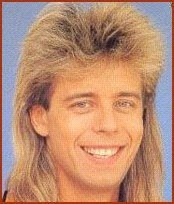 I'm reading: NEIL BUCHANAN QUITS ELECTION "FUN-OFF" AGAINST PAT SHARP, AMONGST MOUNTING VIOLENCETWEET THIS!